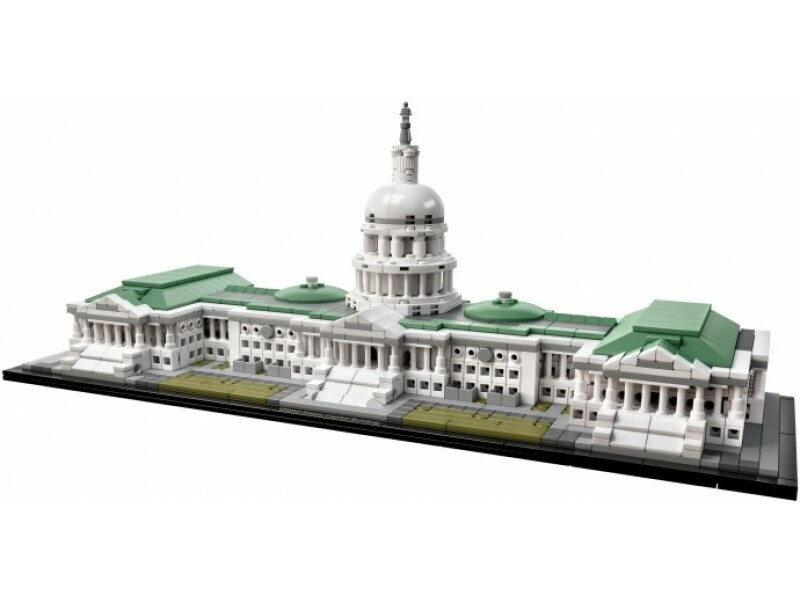 Discover the architectural secrets of the iconic United States Capitol Building with this amazing LEGO Architecture interpretation that focuses on the structure's neoclassical style facade, steps and lawns, finished with a decorative “U.S. Capitol” nameplate. Remove the dome to access the rotunda interior depicting the National Statuary Hall, with columns, 8 statues and tiled floor. This model has been designed to deliver an interesting and rewarding building experience and is suitable for display in the home and office. It has been developed for all with an interest in travel, architectural culture, history and design. LEGO Architecture celebrates the world of architecture through the medium of the LEGO brick, and is developed for all with an interest in travel, design, history and architecture. This set includes over 1 000 LEGO pieces. Measures over 16cm high, 44cm wide and 14cm deep.